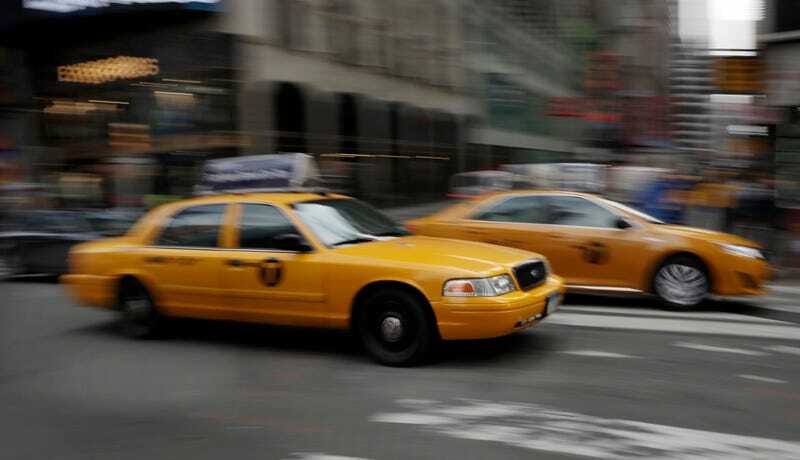 The New York Times' Upshot blog reports that regular New York City taxi medallion prices have fallen about 23 percent since last year's peak. A medallion now sets taxi drivers back about $805,000. Why are prices plunging? Uber. Well, probably. New York City, like other major cities, regulates the number of taxis allowed on the road through operating licenses called medallions. For NYC the number is precisely 13,437. With more competition for rides from so-called ride-sharing companies like Uber and Lyft, the value of a given medallion is diminished. Medallions are bought and sold between individuals and cab companies, often financed in New York by a company called Medallion Financial Corp. That company has seen its shares plummet about 30 percent in the last year, mirroring the collapse in medallion prices. Most wonks indeed point to pressure from ride-sharing companies as the main driver of falling prices. And it's not hard to see why. When you operate outside of the world of government regulation, things like jitney cabs become a much more affordable proposition.